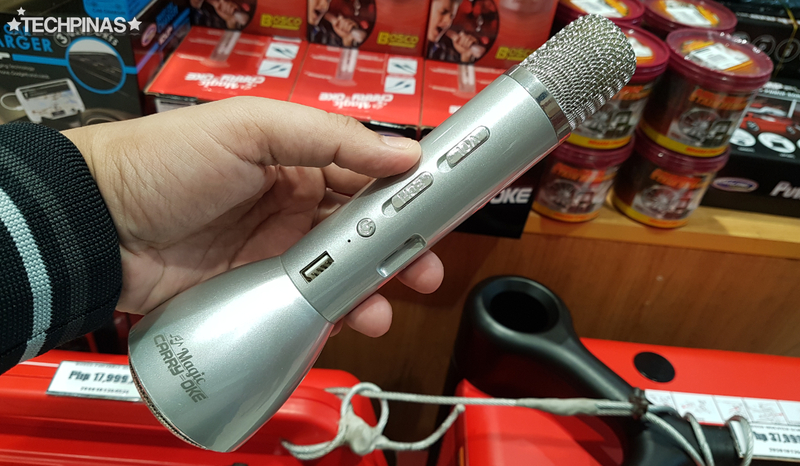 On Tuesday - July 11, 2017, my mom and I finally saw the karaoke microphone that some of my readers have been messaging me about. 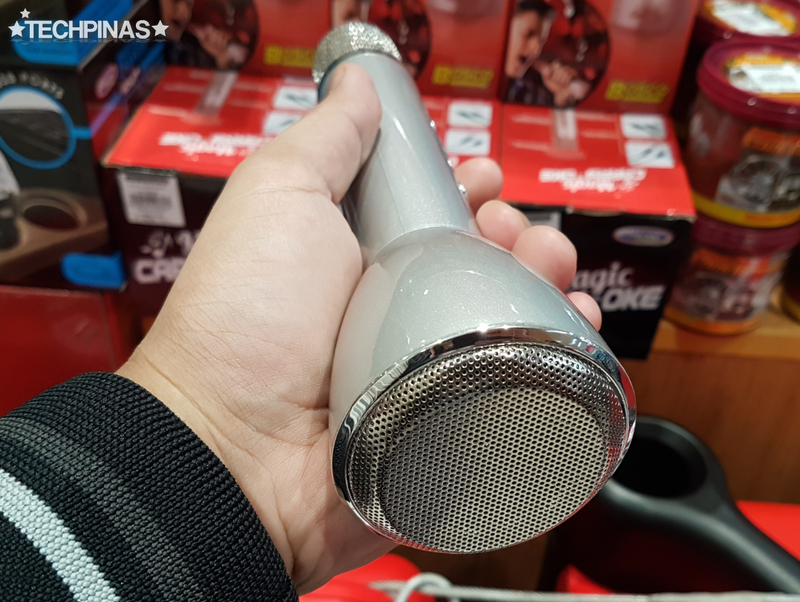 We were walking around Ace Hardware in SM San Lazaro looking for household items when we chanced upon a few units of this interesting product. I understand that this device is pretty popular now as it is currently being promoted in one of the more popular daily shows here in the Philippines. Having played with it for a bit, I'd say I now get what the hype is all about. This innovative product is exactly what Karaoke should be in this day and age of smartphones, tablets, and Smart TVs: Free of wires and portable. Frankly, I think it's a pretty cool and fun device to own -- especially for those who love to sing or who have friends and loved ones who enjoy the same thing. 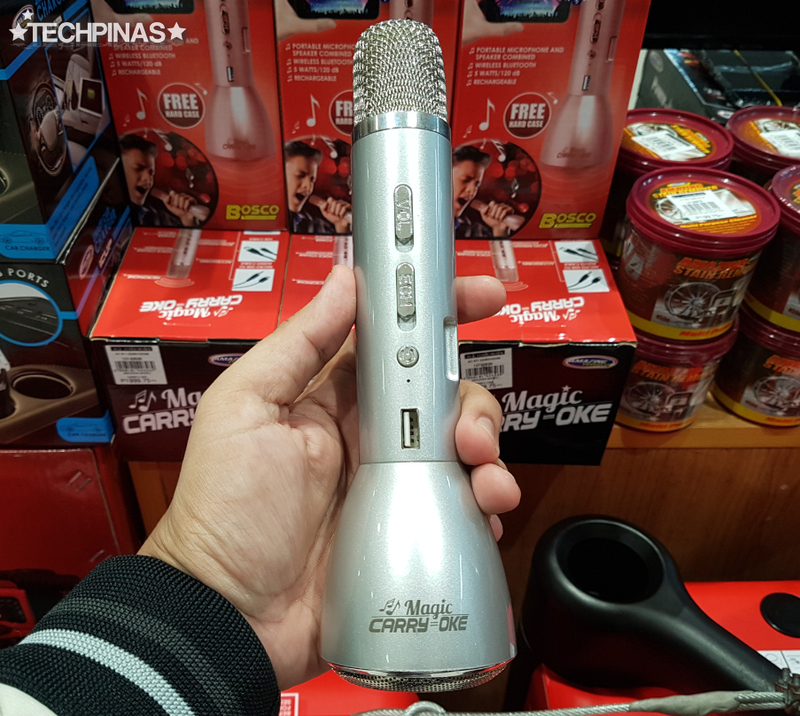 Imagine: With it plus your smartphone, you can finally take your Karaoke experience with you anywhere you go. 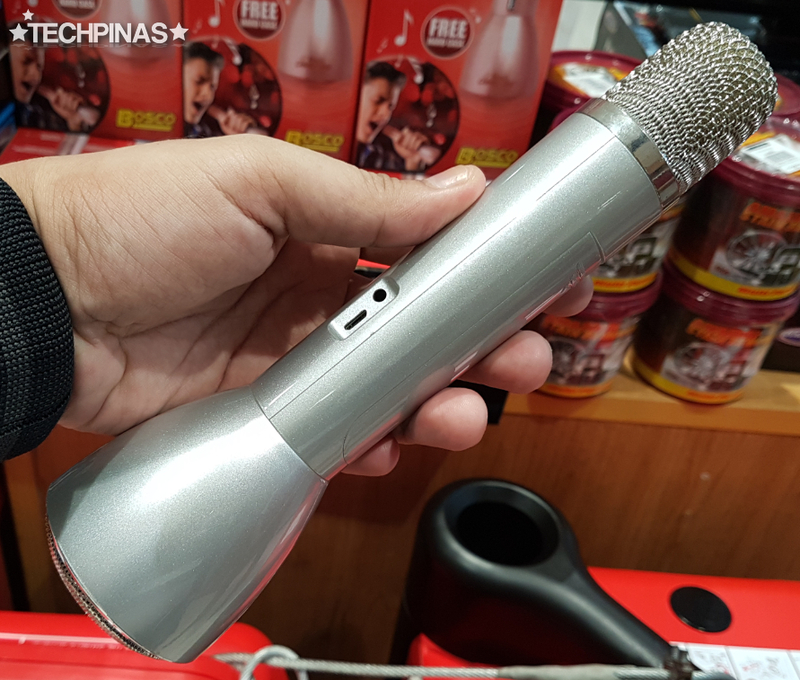 No need to find a TV, a microphone, and a speaker to start belting it out to your favorite hits and giving your barkada an impromptu mini concert. Magic Carry-Oke is actually two devices in one. 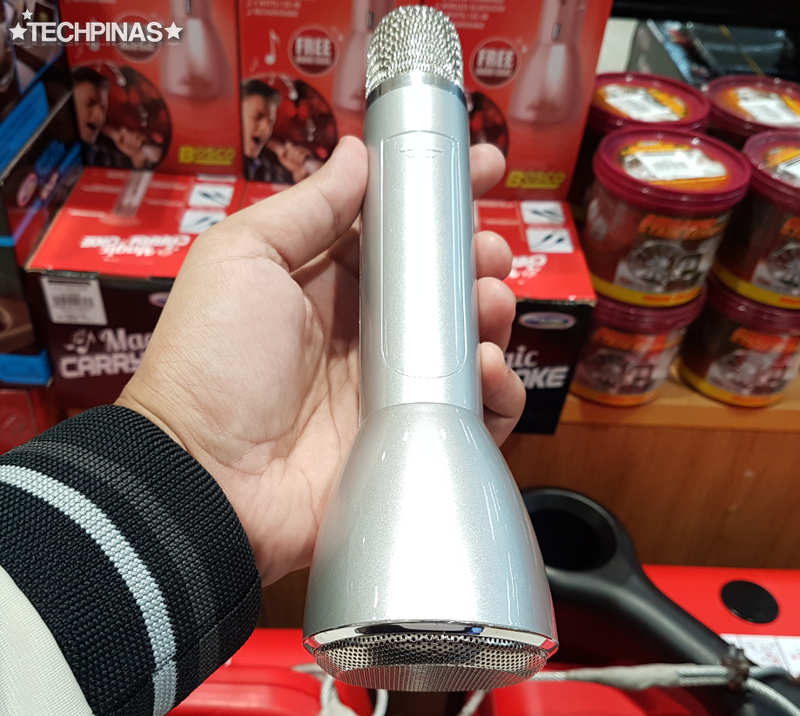 It's a microphone and a bluetooth speaker wrapped in one unit that looks and feels like a flashlight. The microphone is at the top part while the speaker is found at the bottom -- resulting in this rather odd form factor. In between those two main parts, you'll find a row of buttons, switches, and ports. You can control the volume and the amount of echo of the microphone using their individual sliders found on the body of the device. 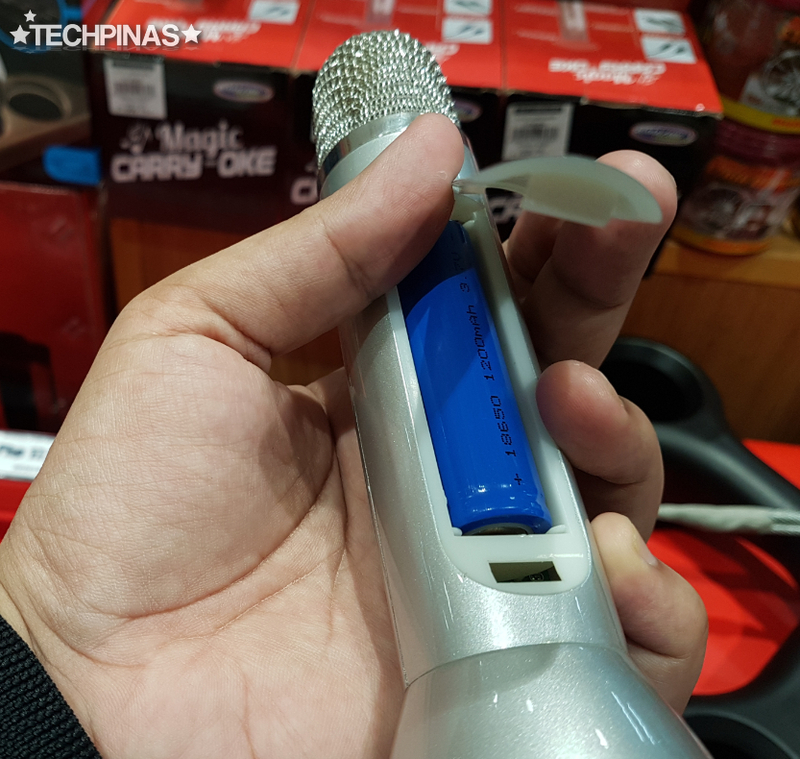 To connect to your smartphone, simply press on the power button after turning on the Magic Carry-Oke. The device also has several ports including USB 2.0 for wired connection to your mobile device (if you want that), microUSB 2.0 port for charging, and an audio jack for connecting to a bigger and more powerful speaker. Magic Carry-Oke is powered by a removable and rechargeable 1,200 mAh battery pack, which gives enough juice for 5 hours of continuous use. Once connected to your smartphone, tablet, or Smart TV, you can use the device with various Karaoke applications that you can download from the Apple App Store or Google Play Store. You can also play sing-along Youtube videos and use this device as microphone and speaker at the same time. 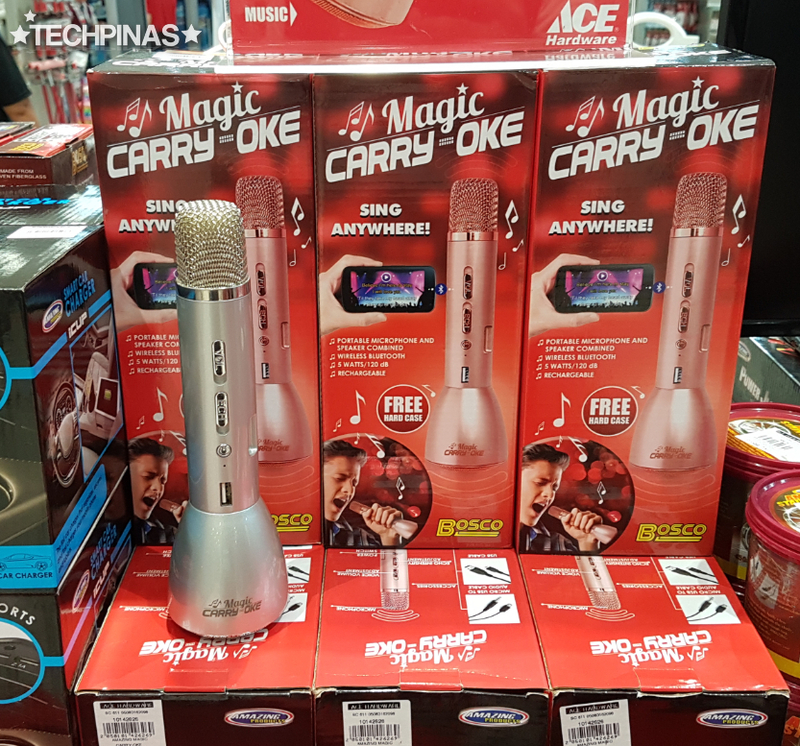 You can now purchase your Magic Carry-Oke Karaoke Microphone by Bosco at all Ace Hardware stores nationwide for Php 1,999. Beware of imitations.